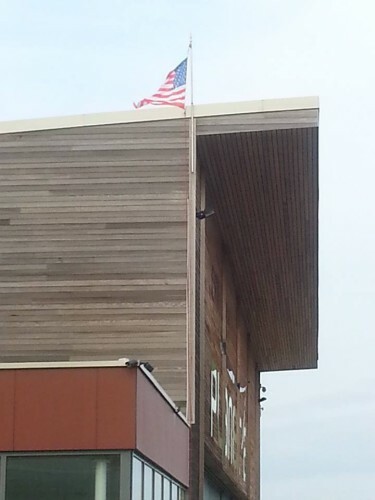 Every week, we will hoist a different flag on the building of the LMAB® organizers, the colors of a nation that participates in the first one international balloons gathering. We begin with USA as Chambley Planet’Air (Meurthe-et-Moselle / France) hosted Americans from 1954 to 1967 when it was a NATO air base. Then it will be France, the United Kingdom, Germany, etc. It is our way of honoring the nations that enable this gathering become the one of Fraternity since 1989! Every day since the registrations opening in June 2014, the places in Pilots’ Square become rare commodities. You must not wait too long to register and book your location near the briefing hall and the launching area. A chance to sleep on the site! 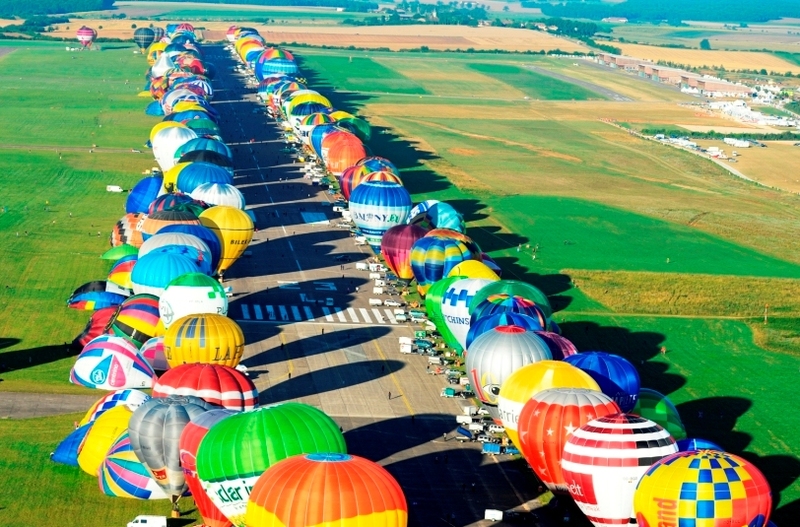 Even if the show is primarily on the ground, you are still numerous to want discovering the landscape from the air. Between 150 and 1000 meters, the vision is amazing. 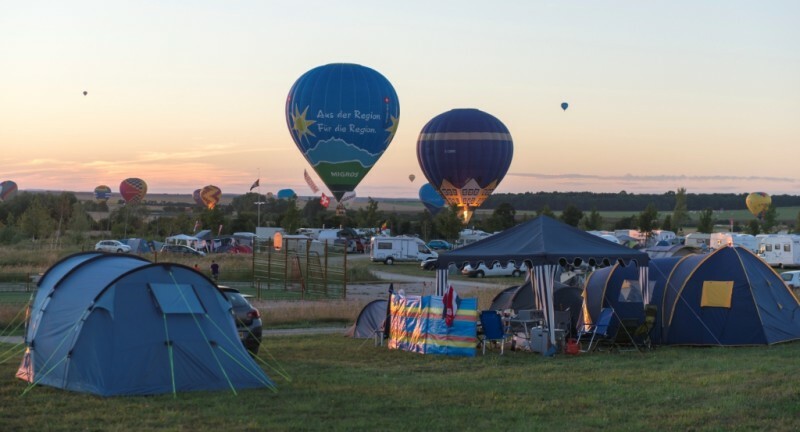 As in 2013, Pilâtre de Rozier Organisation brings into play several balloon flights on its Facebook page “Mondial Air Ballons”. If your name is not drawn the first month, it will stay five months to be the lucky winner. 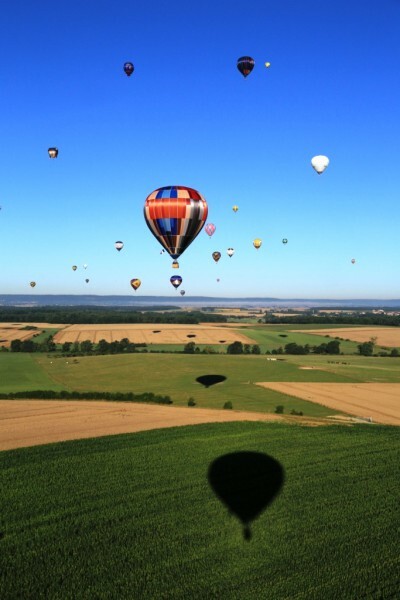 A team from The Albuquerque International Balloon Fiesta is working on the project to discover France and especially LMAB® 2015 for Americans. This tour would concern about forty people who will be received during the next edition of the event. Another proof about the good relationship existing between the two big gatherings.